Which is your favoriete Perry pose? Who do u think is awesome? de keuze van de fan: Perry of course! 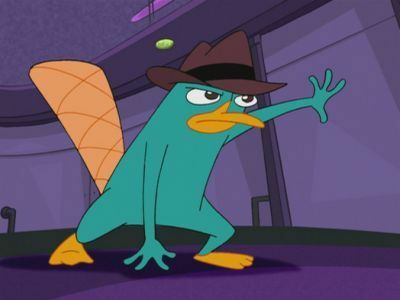 What do u like most about Agent P? hallo Fanpoppers, the spot banner is supposed to say "Perry." I LOVE u AGENT P.
In "It's about Time!" who is Doofinschmrtiz's new nemisis?